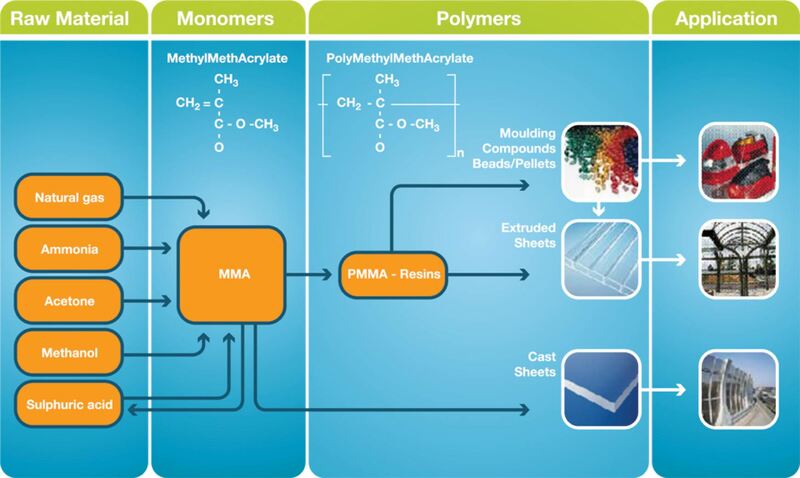 PMMA moulding compounds are easily processed using traditional thermoplastic processing equipment. Cast acrylic sheet is a product of rare quality, unique abilities and outstanding performance. Cast acrylic sheet (PMMA) is produced directly from monomer by two methods: cell cast and continuous cast. Extrusion is the second widely used processing technology for PMMA resin. In this process, the resin pellets are melted and conveyed in a heated barrel containing one or two rotating screws.